Enjoy High End Audio Performance With This Superb Interconnect! If you're looking for first class performance, this superb Space Saturn Series™ Stereo RCA Cable will provide audio perfection. At the core of this low capacitance interconnect is 25 strands of 0.12mm Oxygen Free Copper (OFC). The high purity conductor is encased with dual layer shielding, which provides an effective barrier to eliminate and reject electromagnetic interference (EMI) and radio frequency interference (RFI). The braided outer shield is comprised of 96 strands of 0.12mm high purity copper. This creates an impenetrable barrier against interference and will also serve to lock in signal integrity. The nitrogen gas (N2) injected dielectric also serves as another important ingredient to ensure minimal resistance and a balanced impedance, which in turn will ensure flawless audio performance. Each cable is individually shielded before being encased within an outer chamber, resulting in a cable of mammoth proportions. 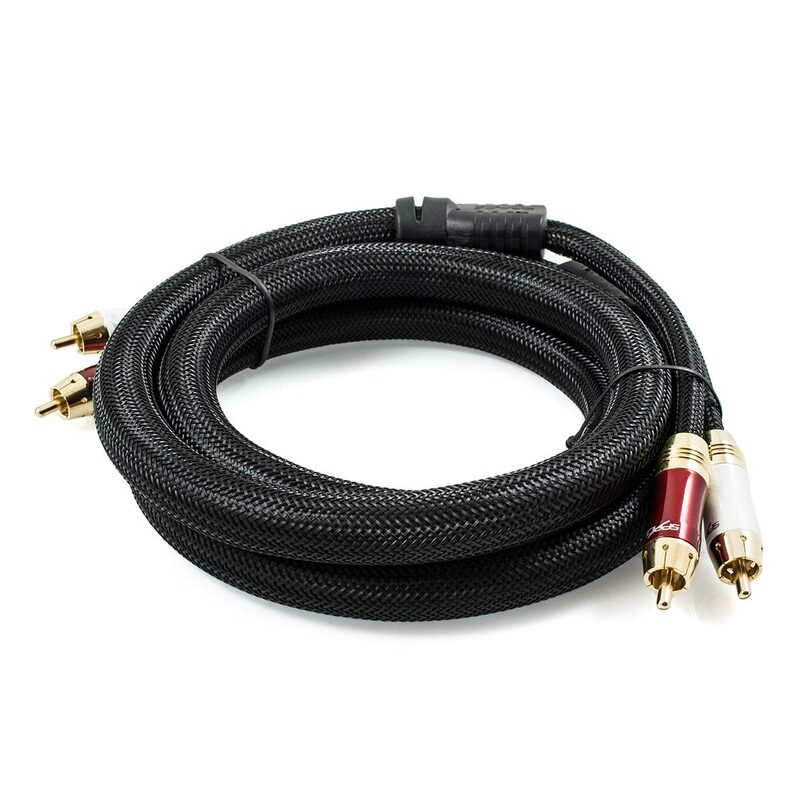 This high performance Stereo Cable features an enormous 16mm outer cable diameter. This interconnect features precision cut outer contacts and centre pins to ensure a perfect fit. This along with the 24k gold plating will ensure a flawless signal and will also ensure that the connectors will not corrode over time. 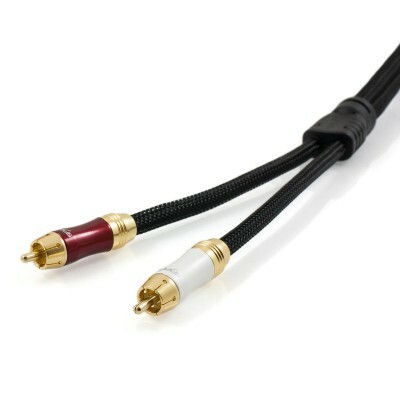 Last but not least, this cable features a colour coded plug housing with a brilliant metallic finish. Besides the stunning aesthetic appeal, this also adds an extreme level of durability. This cable also features a high density, triple weave outer braid. This adds even more visual appeal while providing another layer against wear and tear. All these attributes work in synergy to deliver a transparent audio experience. Looks great - Sounds great - Great service. I bought 3 pairs of these to use as interconnects between my home theater pre-amp and power amps. Wow - impressed with the build and sound quality as these are as good (if not better) than cables costing more than three times as much. Also ordered on a Friday afternoon and they arrived on Monday, so kudos to Space Hi Fi and Aussie Post. Needless to say this will not be my last order, not least because of the build quality and competitive pricing! These Saturn interconnects are fabulous. I have other interconnects that cost 100's of dollars, but they don't perform anywhere near as good. 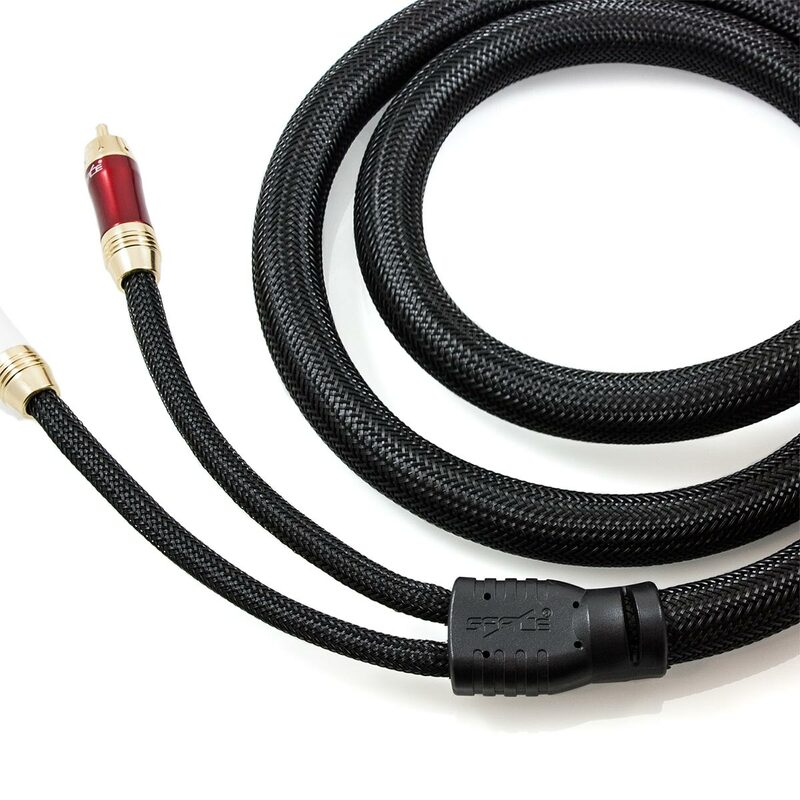 The Saturn delivers a bigger sound stage and with their low capacitance they make excellent phono cables. I would definitely recommend them! I use these to connect my DAC and my amplifier and they sound amazing. 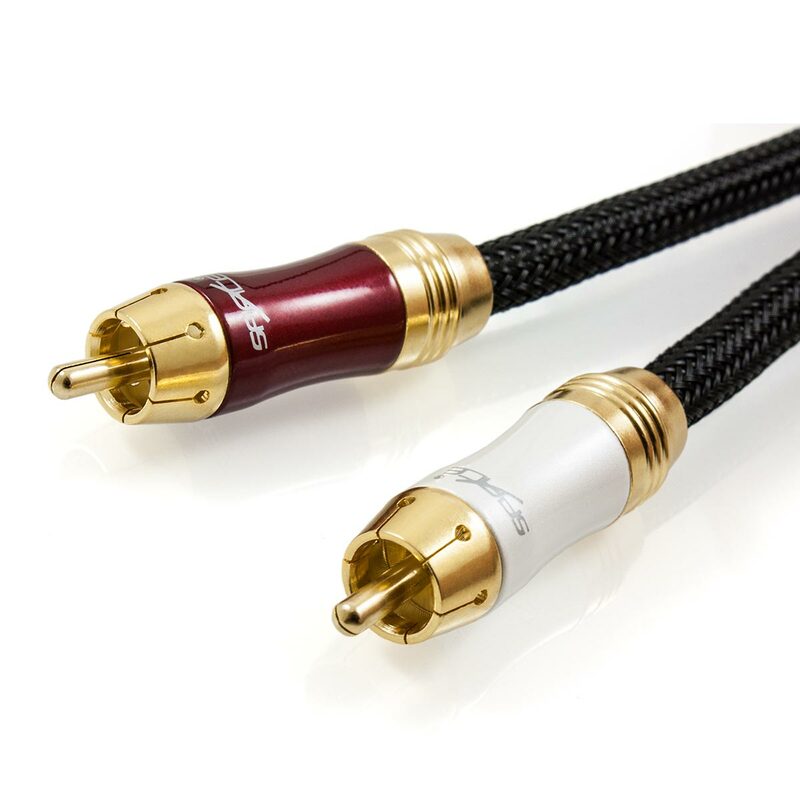 I have spent over $20k on my Hi-Fi setup and although these cables are < $50, they are the best sounding cables I've ever used in my system. Bought a few. Nice sound. Awesome for the price. I bought one of these to hook up a CD/DVD player to my amp and I must say the improvement in the sound stage and stereo imaging is remarkable. The quality of construction of the cable is excellent. Excellent cable. Good build quality.